RE300 removes phosphorus with extraordinary efficiency. This short video explains why it is so much more effective than iron- and aluminum-based coagulants. RE300 is helping wastewater plant operators remove phosphorus with reduced coagulant volumes and less chemical sludge. RE300 reduces sludge volumes, improves dewatering, and cuts maintenance and haulage costs — up to 60%. RE300 is being successfully deployed in a number of wastewater plants. Case studies demonstrate both performance and cost/benefits. 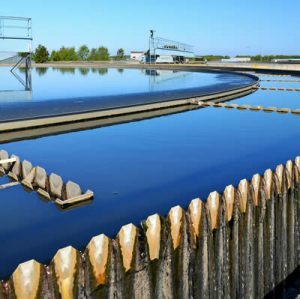 The growing complexity of challenges faced by today’s wastewater treatment plant operators is daunting. It also underscores a common reality shared by all wastewater treatment plant professionals: chemistry matters. RE300 removes phosphorus with extraordinary efficiency. This short video explains why it has an elemental advantage over iron- and aluminum-based coagulants. RE300 can deliver very high rates of phosphorus removal from wastewater. Levels of less than 0.07 mg/l can be achieved with significantly lower dose rates than competing technologies. RE300 offers superior performance in sludge reduction over ferric chloride, aluminum chloride, or polymer coagulants. Reductions in sludge volumes of up to 60% have been achieved. Rare earth chloride products have been used in over 50 facilities, from 0.02 MGD to 45 MGD in size, in states such as Wisconsin, Virginia, Pennsylvania, New York, Minnesota, Vermont, Ohio, Illinois, Indiana, Texas, Washington, and others. 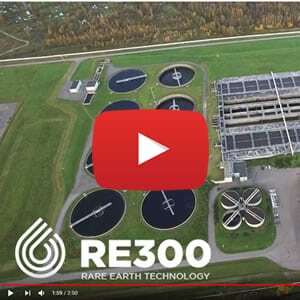 RE300 helps wastewater facilities achieved greater water clarity than competing products, as well as faster coagulation, improved sludge dewatering, better digester performance, and no staining or discoloration of facility structures. Can We Help You Meet Your Phosphorus Challenge? 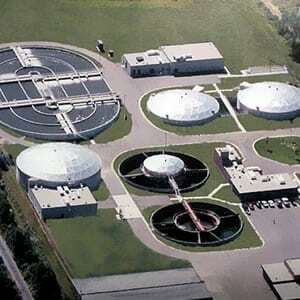 If your treatment plant is facing serious challenges in reducing phosphorus, and you would like to cut your sludge removal and other costs, get in touch with us.